they are now available through Amazon.Com and elsewhere! Please see our TeenyTinyTarot © Trumps and Aces on eBay. 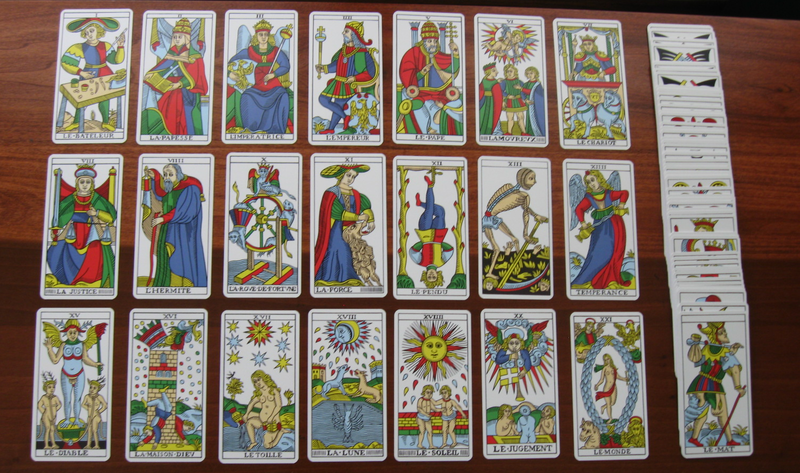 To be fair, our “TeenyTinyTarot” © Trumps are especially designed with Valentin Tomberg’s “Christian Hermeticism” in mind. They’re great for personal study, meditation, and contemplation–and they are very inexpensive! But for those who are looking for a complete set of full-sized cards– cards that are much more aesthetically pleasing and of a much higher quality –the CBD Tarot de Marseille by Dr. Yoav Ben-Dov is clearly the way to go! This premium Tarot deck is not only larger (2.5″ x 4.75″), it is also more colorful– more graphically and technically precise –top of the line in every respect!